Pedders win Gold Award at 2019 AAAA Expo for Most Innovative Marketing Campaign | Pedders Suspension – The Car Suspension Specialists! 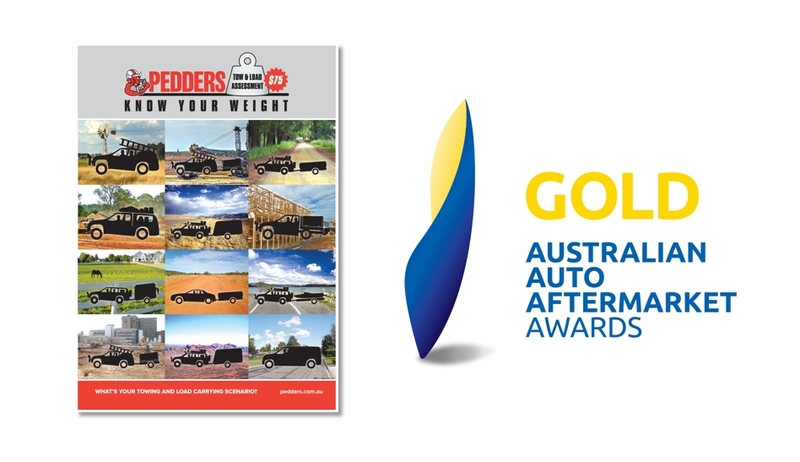 Pedders Suspension and Brakes was awarded the Gold Medal in the Most Innovative Marketing Campaign category for it’s Tow and Load Assessment at the 2019 Australian Automotive Aftermarket Awards. Pedders Tow and Load Assessment educates road users on the effects added weight has on vehicle dynamics and the importance of safe load-carrying and towing practices, with one of its key features being Pedders’ unique Weight Matrix software that can calculate a vehicle’s weight distribution and dynamics in the most likely driving scenarios a vehicle owner will face. The Weight Matrix software forms an integral part of Pedders $75 in-store Tow and Load Assessment and can also be accessed by users online on the Weight Matrix website.